4. As explained below, retention of the BALLOT IMAGES is critical bc they are PUBLIC RECORDS and can be obtained via a public records request. 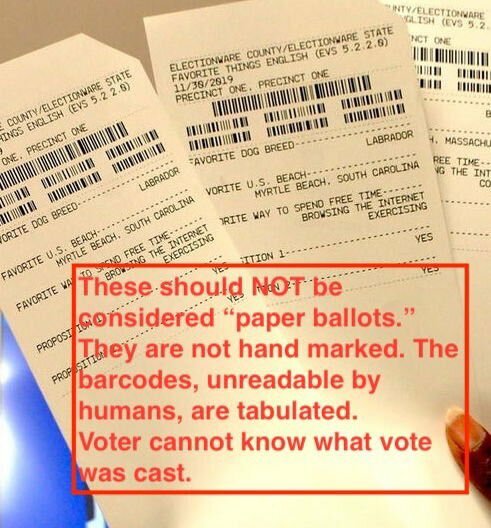 Plus, as explained below, it is difficult to get a HAND recount of the paper ballots under ALABAMA LAW. 5. And yes, Alabama's voting equipment is a concern. Its vendor is ES&S. 6. More about ES&S, Alabama's voting machine vendor. 8. Here is additional information about ES&S (Alabama's vendor that Brian Kemp in Georgia also hopes to use). 10. Here is additional disconcerting info about ES&S, Alabama's voting machine vendor (and the one that vote suppressor Brian Kemp hopes to use in Georgia). 11. Here's a sourced Thread re: Alabama's vendor, ES&S (I mistakenly said in the Thread that ES&S control cards come from a company owned by a "Russian" expat; the man is actually from Belarus, a close political ally of Russia as explained in post 10 above. 2/ "During the same period, Manafort dispersed $531k to Kilimnik, his translator and fixer in Ukraine, for 'professional services.' According to a report in Bloomberg about Manafort’s Ukrainian ventures, Fabrizio is included in e-mail chains with Manafort and Kilimnik." 3/ It was "Paul Manafort who decided to hire Tony Fabrizio as the [Trump] campaign’s chief pollster." If this continues to go as it’s going now, Georgia needs to protest, and citizens from other states need to join with them. This is Jim Crow voting equipment! 3/ Many of these experts warned Cathy Cox not to purchase the flawed Diebold system b/c of no verifiable paper trail & the high security risks. They join other experts and public interest groups to oppose this expensive, high risk BMD/ barcode technology. 2 mots de contexte : j’ignore qui est l’auteur du document dont on va parler et mon idée n’est pas le moins du monde de dénigrer les ressources du @reseau_canope. Qui est un très bel et très précieux outil (d’habitude). Les enseignants connaissent bien le réseau Canopé / ex-CNDP. Cet organisme de @EducationFrance a pour principale mission de produire et diffuser des ressources pédagogiques à destination des profs (latin/histoire, ici). 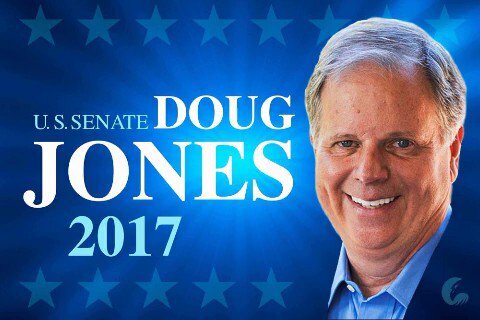 Doug Jones is Alabama's Democratic nominee for US Senate. You may vote absentee in Alabama for several reasons. Check out the list below to see if you're eligible. Also, if you miss the deadline for absentee ballot voting, and you have a sudden business trip, you are still able to absentee vote up to the day before the election in Alabama. #DougJones supporters: Turning out voters of color in #Alabama is key, so it’s important to give to the local orgs that are working on that. A thread. The last day to register to vote in #Alabama is 11/27; the special election is 12/12. Make this ask at your Thanksgiving table! If people who see this thread in their feed each gave $10, efforts would be funded.